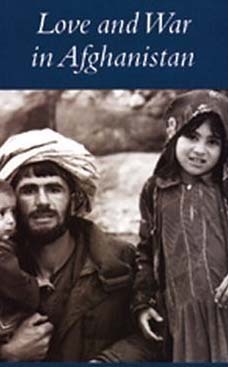 Peace Corps Online: May 13, 2005: Headlines: COS - Uzbekistan: Safety and Security of Volunteers: Yahoo: Some 500 people, mostly civilians, are reported to have been killed when troops put down a revolt in the eastern town of Andizhan on May 13. Authorities in the Central Asian country say 173 people, mostly "terrorists," were killed. 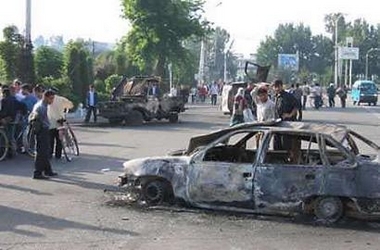 May 13, 2005: Headlines: COS - Uzbekistan: Safety and Security of Volunteers: Yahoo: Some 500 people, mostly civilians, are reported to have been killed when troops put down a revolt in the eastern town of Andizhan on May 13. Authorities in the Central Asian country say 173 people, mostly "terrorists," were killed. Peace Corps Online: Directory: Uzbekistan: Peace Corps Uzbekistan : The Peace Corps in Uzbekistan: May 13, 2005: Headlines: COS - Uzbekistan: Safety and Security of Volunteers: Yahoo: Some 500 people, mostly civilians, are reported to have been killed when troops put down a revolt in the eastern town of Andizhan on May 13. Authorities in the Central Asian country say 173 people, mostly "terrorists," were killed. Some 500 people, mostly civilians, are reported to have been killed when troops put down a revolt in the eastern town of Andizhan on May 13. Authorities in the Central Asian country say 173 people, mostly "terrorists," were killed. TASHKENT (Reuters) - Uzbekistan on Thursday rejected fresh Western pressure over violence last month in which many civilians were reported killed, telling NATO and the rest of the world it saw no grounds for an international inquiry. NATO Secretary-General Jaap De Hoop Scheffer on Tuesday condemned reported use of excessive force by Uzbek troops in the eastern town of Andizhan and NATO parliamentarians urged member states to halt support for the Uzbek armed forces unless a probe was conducted. Some 500 people, mostly civilians, are reported to have been killed when troops put down a revolt on May 13. Authorities in the Central Asian country say 173 people, mostly "terrorists," were killed. "The Uzbek side believes that there is no ground whatsoever for discussing the issue of forming an international commission to investigate the Andizhan events," the Foreign Ministry said, reacting to the NATO parliamentary assembly's call. It said a commission had been set up by the Uzbek parliament to hold an inquiry and "all necessary information" had been sent to the NATO secretary-general. It gave no further detail. No opposition deputies are represented in the Uzbek legislature which is widely seen as a rubberstamp machine for fast approval of President Islam Karimov's decisions. Foreign Minister Ilyor Ganiyev later railed against foreign media, accusing them of biased reporting. He said foreign diplomats would be welcome to "objectively assess" Uzbekistan's official inquiry and its steps "to stabilize the situation in Andizhan." "Uzbekistan proposes setting up a working group from a number of accredited foreign embassies, such as the USA, France, Russia and China, as well as the states neighboring our region," he told journalists. He would not take any questions. European Union and the United States. President Bush pressed Tashkent this week for a full inquiry into what happened in Andizhan. Afghanistan and hosts a U.S. airbase. The Uzbek Foreign Ministry said the Andizhan revolt was "the result of a thoroughly planned terrorist aggression by radical, extremist and religious forces orchestrated from abroad." Karimov, who has run the largely Muslim Central Asian nation with an iron fist since Soviet times, defends his tough methods by saying that he wants to prevent an advent of militant Islam. A group of U.S. senators has called the Andizhan bloodshed a "massacre," but Karimov enjoys support from Russia and China, both of which have said they believe that "external forces" were behind the Andizhan revolt.